When I think pie, it’s always apple pie. I’m not a fan of pumpkin pie(sue me) and sure, I love Chocolate Silk Pie and Banana Caramel Pie, but pie just equals apple pie in my head. As delicious as they are, apple pies can be a bit time consuming. So when I’m craving apple pie, I always turn to my simple and super quick recipe os Mini Apple Pies. I use store bought puff pastry and make these in a large batch and freeze them. Then whenever I’m craving apple pie, I preheat my oven, brush them with egg wash and bake them till they’re puffed and golden brown. Ice cream is mandatory. 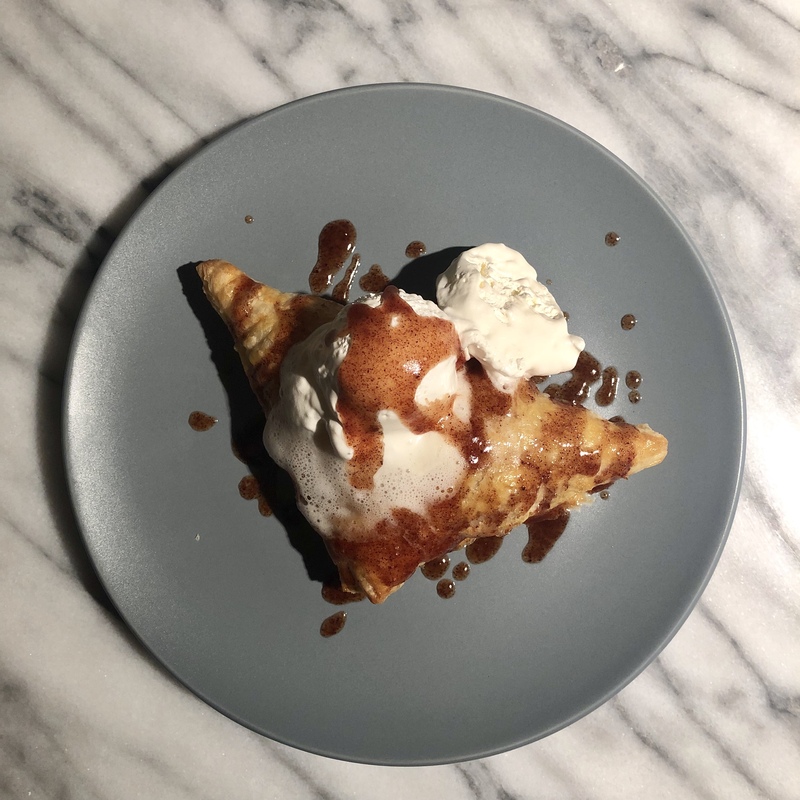 Here’s how to make Mini Apple Pies, which are basically apple turnovers, so you can eat them for breakfast too. You can use any puff pastry, but I’m just listing the one I use so you get an idea of the amount you’ll need. Roll out each sheet lightly, make sure you don’t roll it out too thin. Then cut each sheet into 9 squares. Spoon about one tablespoon of the apple mixture onto the center and fold over to make a triangle. Press the edges down with a fork to seal. At this point you can freeze these. Place on a tray and freeze for a couple of hours. Then carefully remove to a zip lock bag or a freezer proof Tupperware and freeze until needed. Use within 2 months. Beat an egg and brush over the mini pies. Bake on a lined baking sheet for 8-10 minutes in a 400 F oven, or until the pies are puffed and golden brown. Let them stand for a couple minutes on the tray before serving. Serve with vanilla ice cream.